All Faculty of Health students must complete General Education course requirements. General Education courses are designed to expose students to information from outside their chosen degrees that involve the following course content principles: breadth, multidisciplinary and interdisciplinary, and critical analytical and research skills. 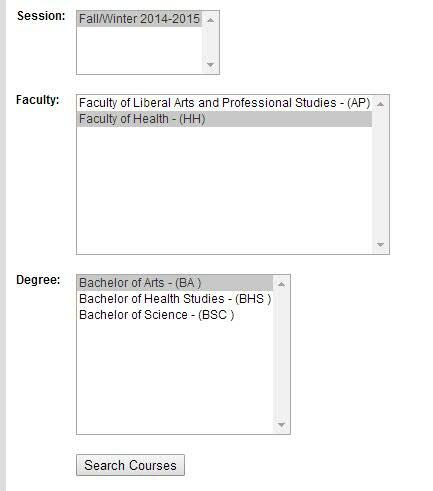 Please note that General Education courses are not offered every academic session. 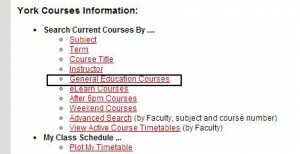 To see what courses are being offered, visit the Registrar’s Office Courses web site. 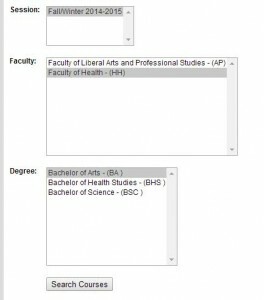 Step 2: Select the session, faculty (HH) and degree program. General education requirements for students entering York prior to Fall 2014.